Contact Us if you have a question or concern about our site or if you just want to say hello. 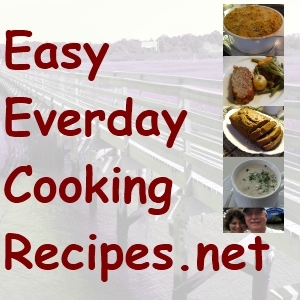 Easy-Everyday-Cooking-Recipes.net makes every effort to provide revelent content in a timely fashion. Our site is about cooking, recipes, ancestry, family living and a collection of hints and tips from folks like you. We also invite you to stay and become a member in our community of giving back. A community of people just like you and us who aspire and become inspired by what we cook and share with others. Review what works for our family given our responsibilites and see what works for you. Please note, we are at a disadvantage to anyone who reaches out in another language and will not be able to respond. However, if you reach out in English, we will be more than happy to respond to you in kind.